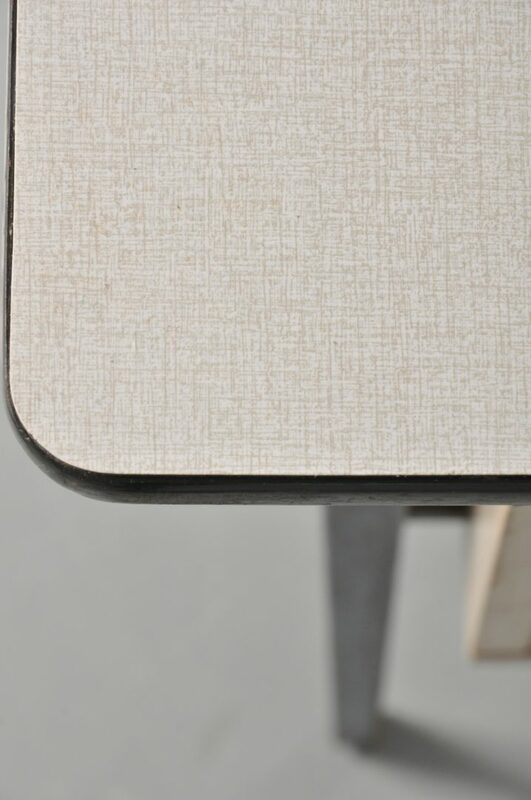 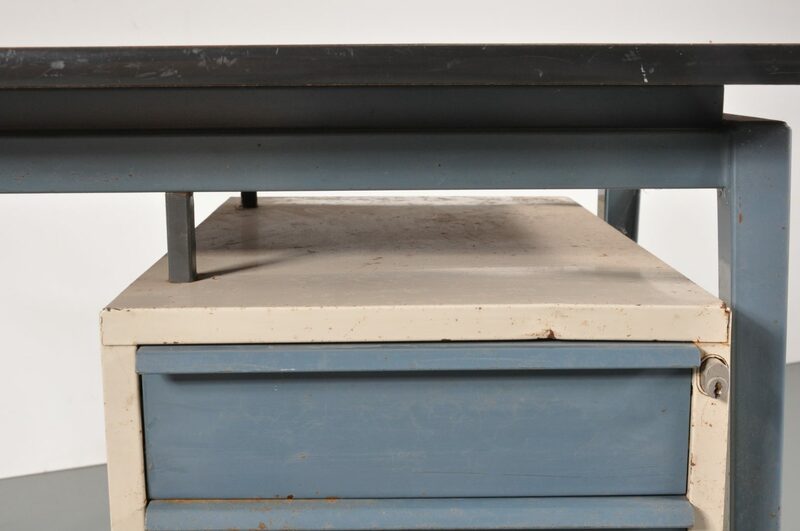 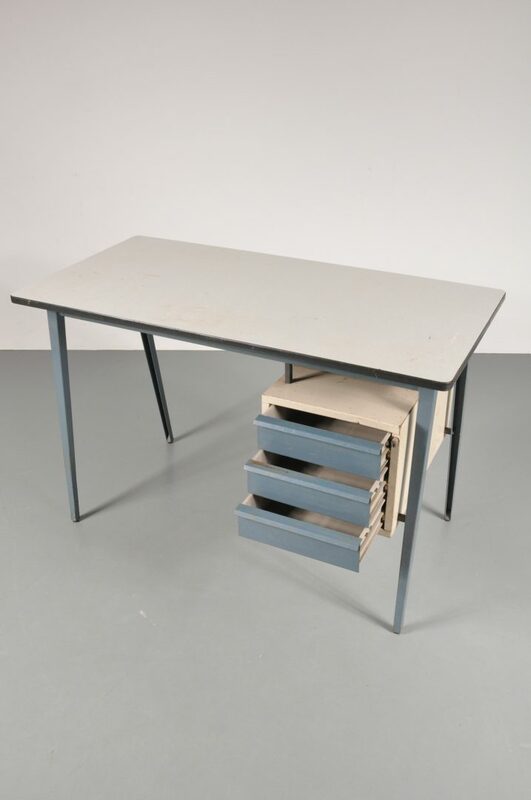 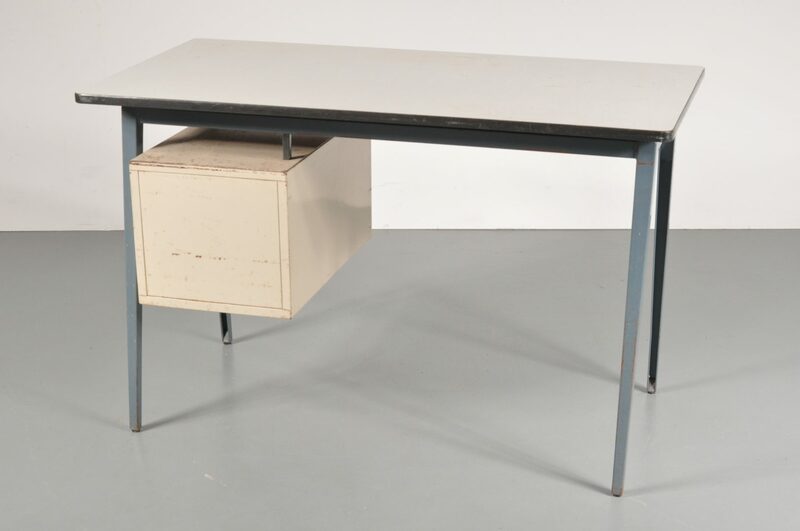 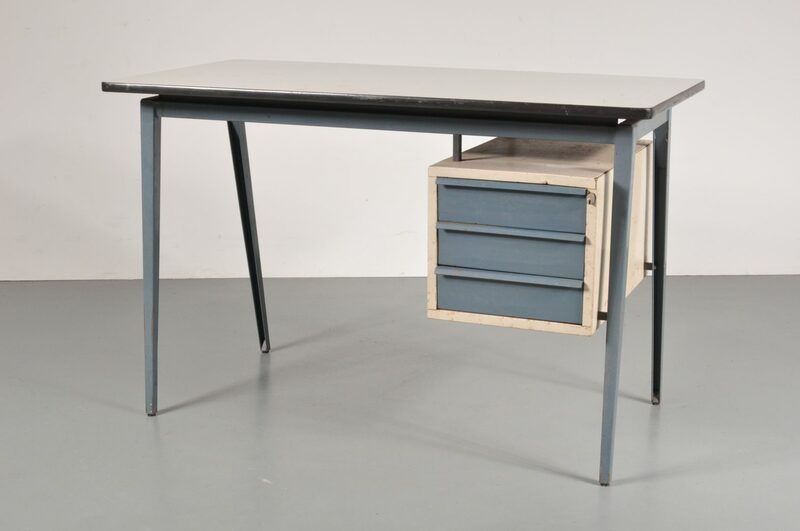 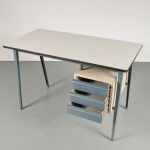 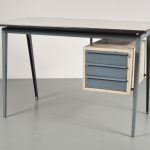 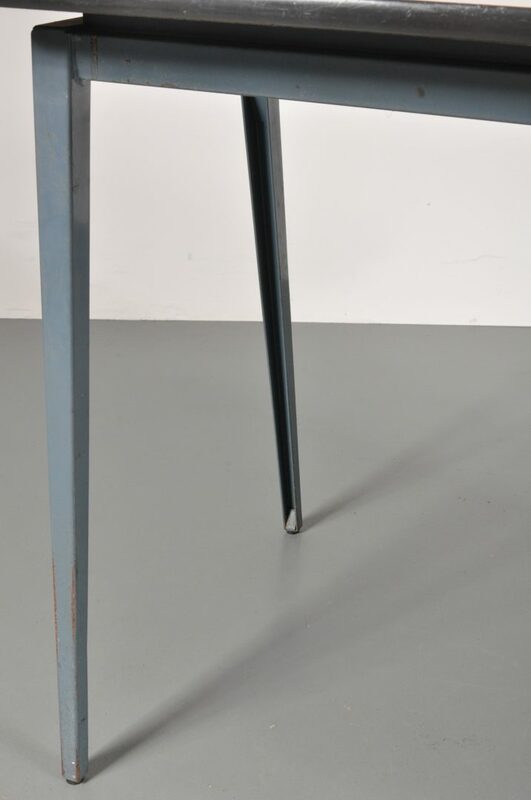 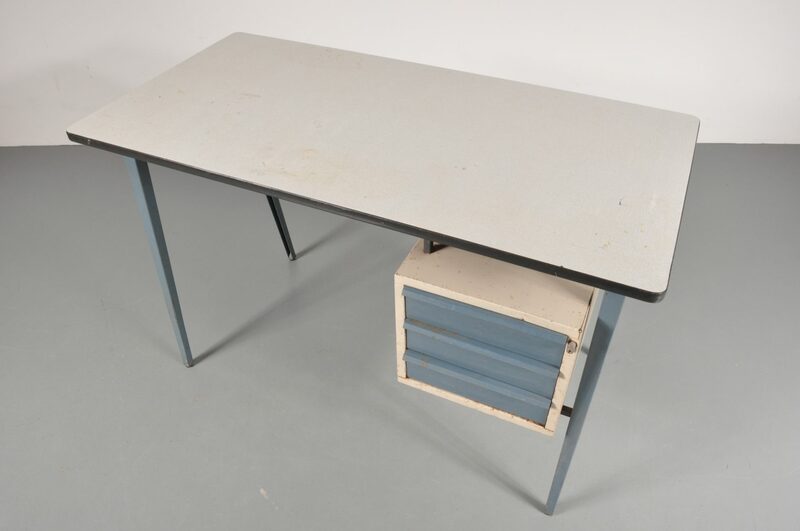 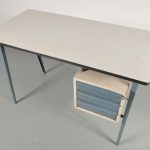 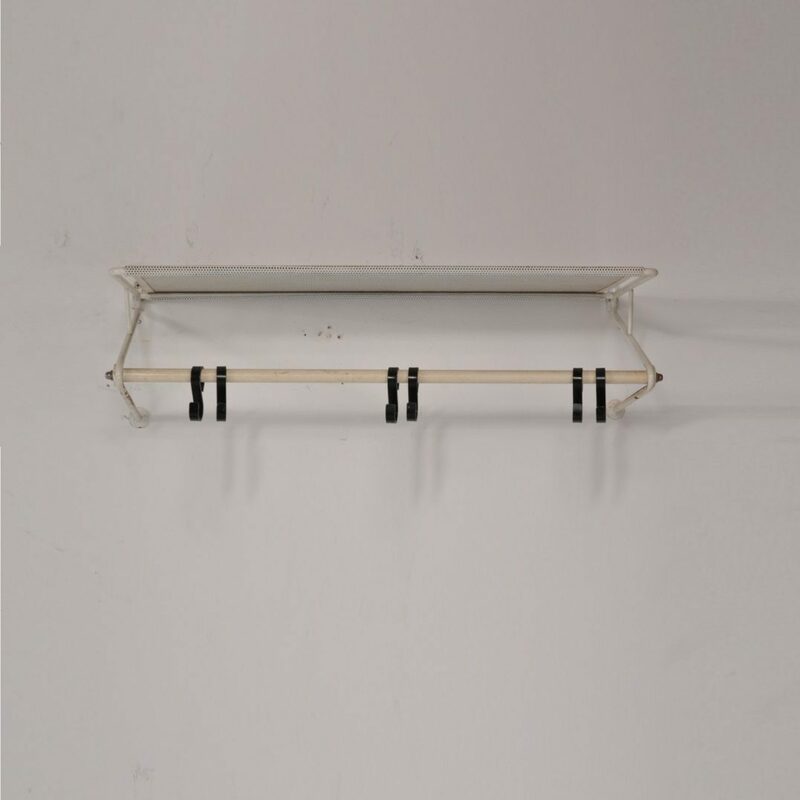 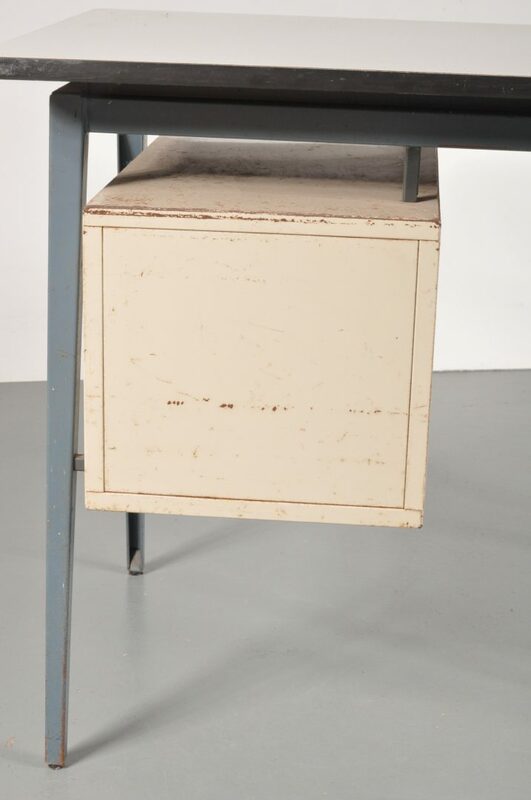 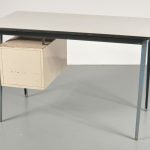 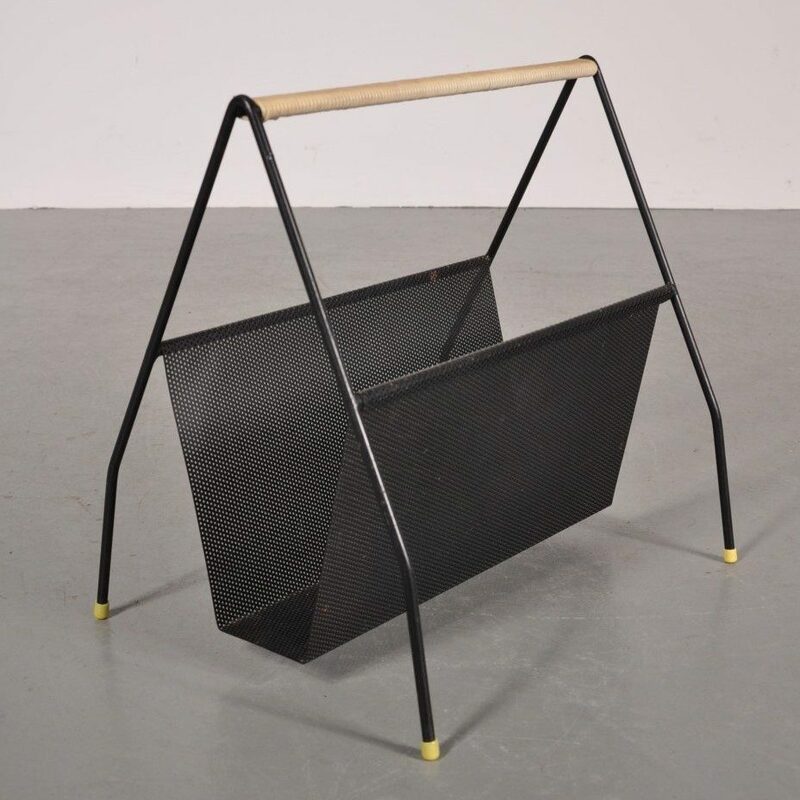 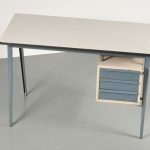 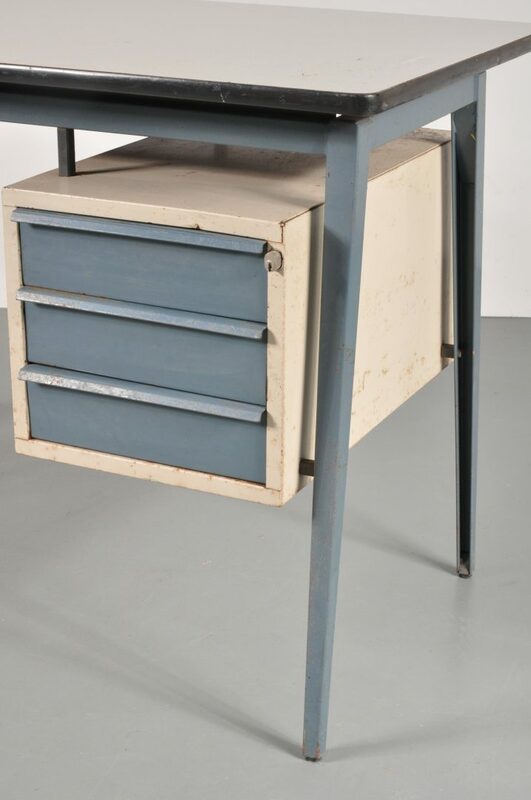 A Dutch design desk made of black and white lacquered metal, with a white / grey formica top. 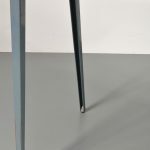 This combination of shapes and materials create a unique, industrial style. 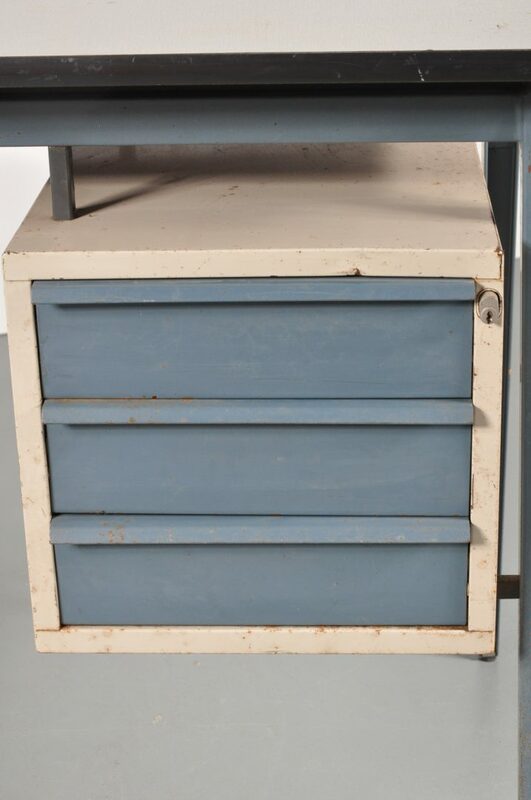 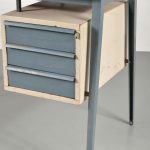 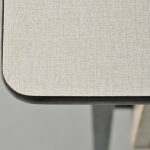 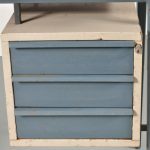 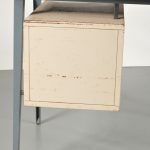 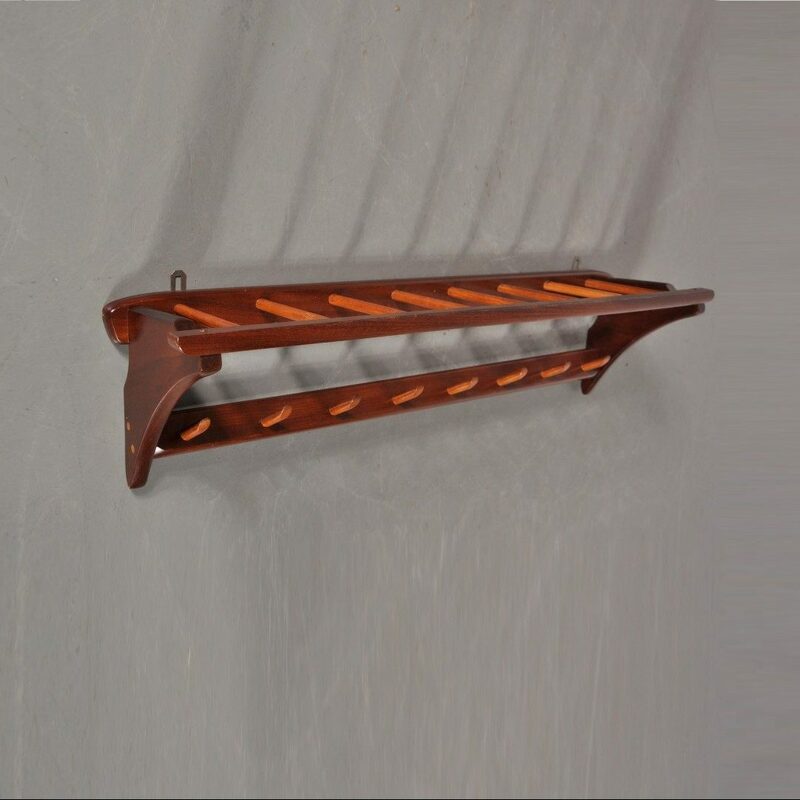 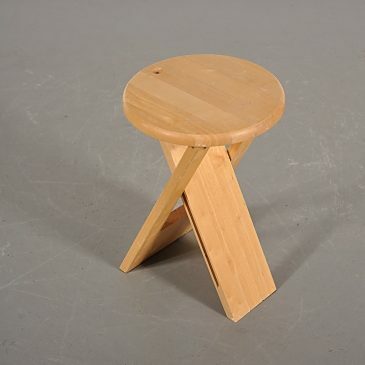 It holds a unit with three drawers for storage of office supplies. 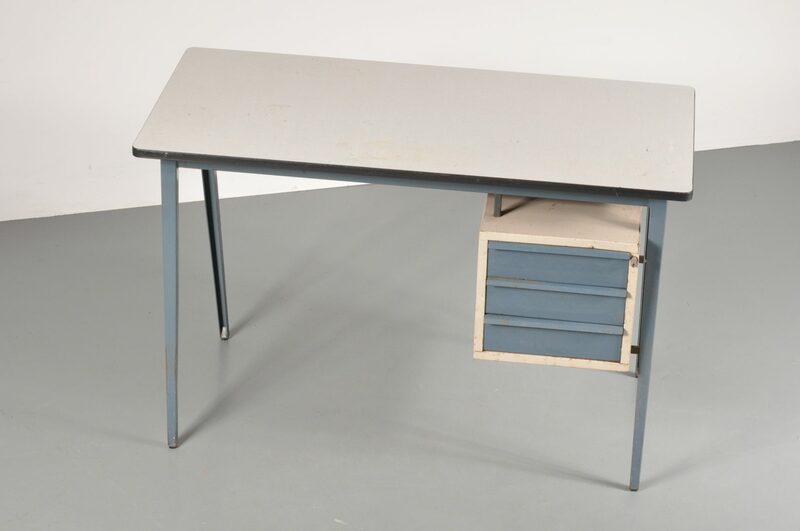 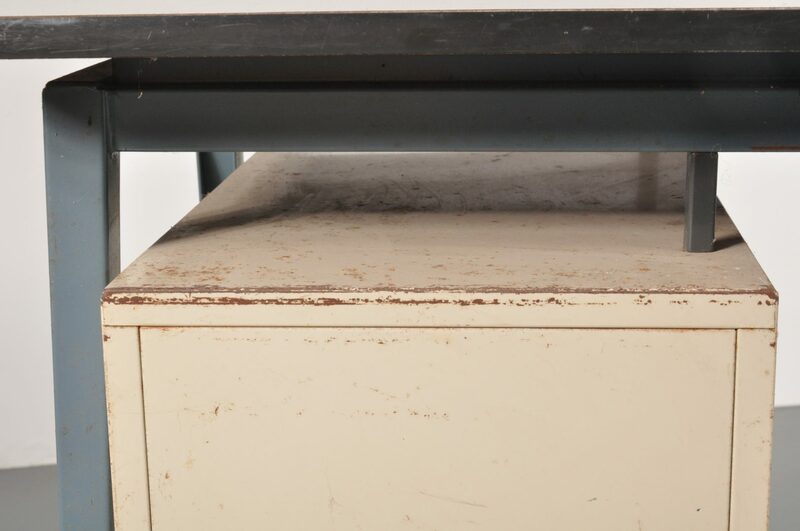 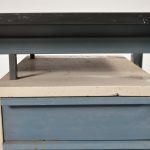 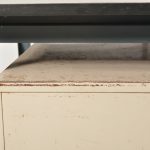 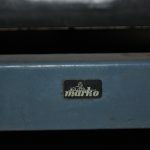 The desk remains in fair condition, it has some notable user marks, but this does fit with the industrial style and gives it a very nice patina. 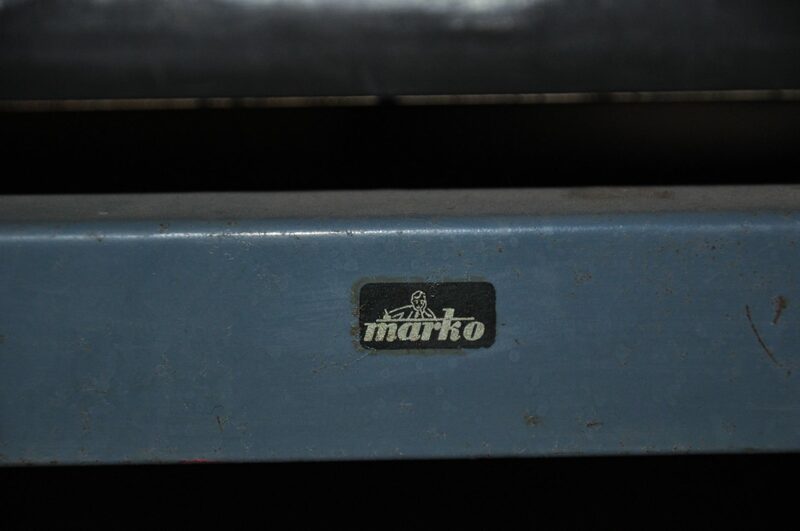 It has the original manufacturer’s label.